To develop the future healthcare workforce in Ohio. To increase the number of active participants in Ohio HOSA. To establish a strong relationship between Ohio HOSA and community healthcare organizations. To increase career awareness through Chapter, Regional, and State HOSA activities. To provide encouragement for individual chapters to create positive community service opportunities for all members. ​I plan to attend the Air Force Academy and obtain my Bachelor’s Degree in Public Health. Then I will continue to medical school where I plan to specialize in Orthopedic Surgery. 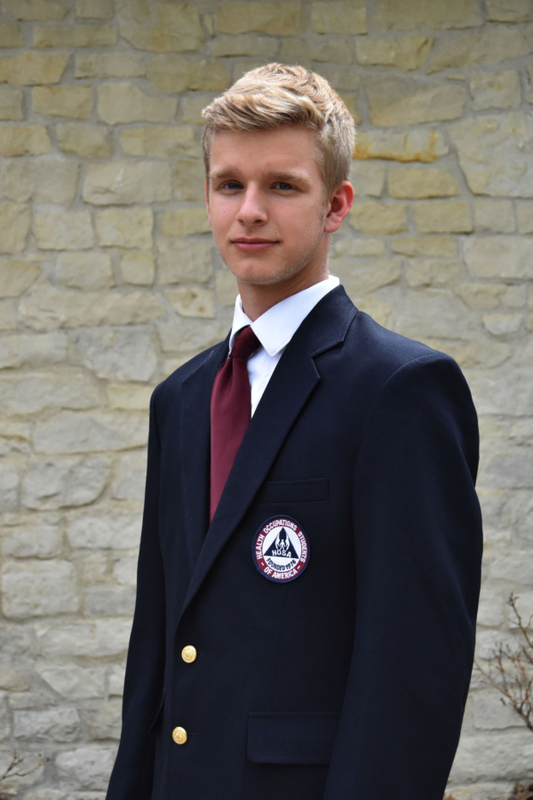 President for the junior HOSA chapter at Miami Valley Career Technology Center (MVCTC). Crew leader for High Adventure Trips (Boy Scouts). Officer in FCCLA at Eaton High School (EHS). Senior Patrol Leader for Boy Scout Troop 78.